About 500m to go and you can smell and almost taste the post-Run refreshments. The leaders were too quick for the camera! The groupings in the Collages are chronological. Photos from the end of the short out and back loop ending at 3km. The leaders return… in the lead! 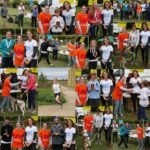 Results summary and pictures from the Prize Giving which brought the 2018 Grantchester Charity Runs to a close. Officiating are our lead sponsors Justin Fairhall (Lunchtime Company) and Steve Wilson (HotelResUK) along with Emily Willdigg (ACT) and Andrea Chupacova (Maggies). We found these while clearing up on Sunday. 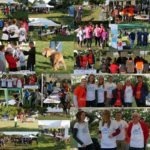 Please contact 10k at grantchester10k dot org if you recognise them. 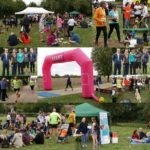 © 2019 Grantchester Charity 10k & 3k.